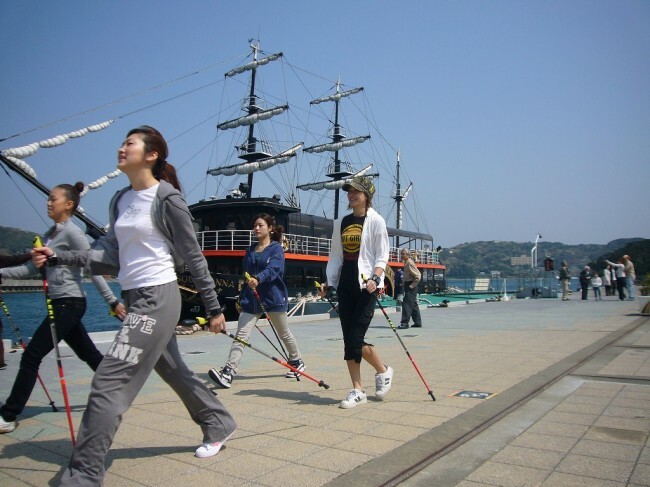 I have ten years' Nordic walking experience. I am short but I can walk faster than expected if I walk this way. I recommend Marine Bathing Nordic walking. 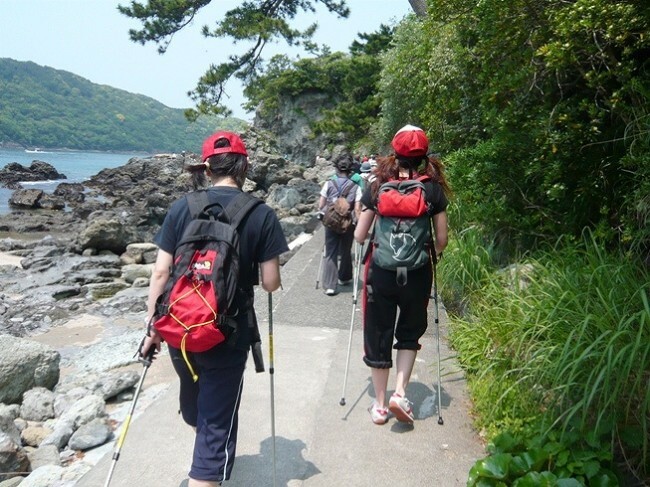 I am conducting more than one Nordic walking tours a month. There are many promenades facing the ocean coast in Shimoda. You can get the sights of many beautiful white sand beaches. 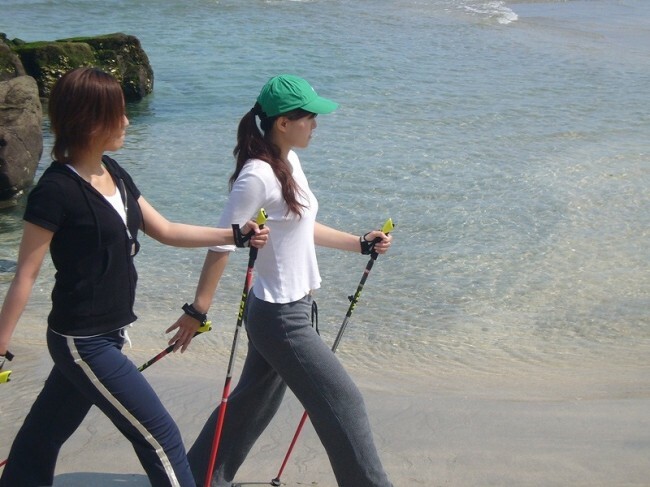 Nordic Walking while bathing the sea breeze can build up both mind and body. Also, the Nordic exercise menu with yoga is very good. Izu archipelago seen from the vicinity of Tsumekizaki Lighthouse. I feel the earth is round when I see the ocean from the lighthouse. From left to right , you can see Izu Oshima, Niijima, Shikine, Kozu Island, and if I can see Miyakejima Island in the far end, I feel better all the day. Hot springs. 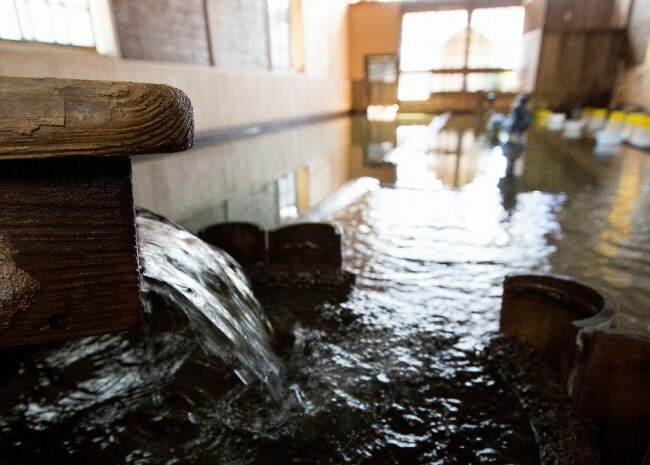 I feel profounf relief whenever I bathe in hot spring. I sometimes even swim in the hot spring, which completely revitalize me ! 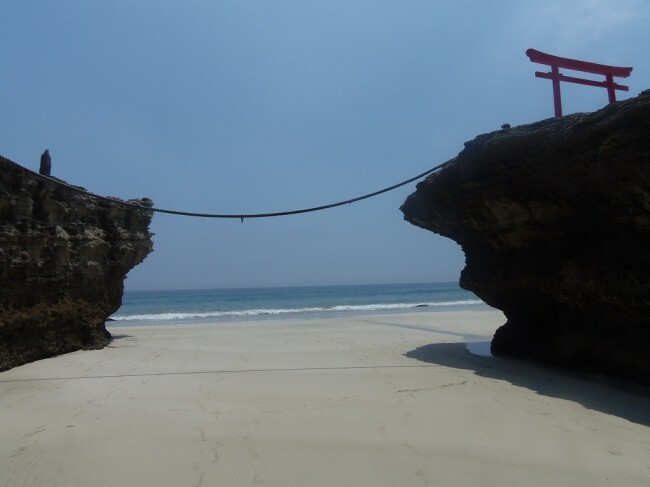 Shirahama Shrine at noon during the tide is down on the day of spring tide. I happened to go to Shirahama Ohama Beach (behind Shirahama Shrine), on such an occasion, at 11 o'clock on 10th July 2013, I remember. I was surprised to see how far the tide would draw. The beach was so spacious, which no one could have imagined. This instructor is guiding this program. In front of the Black Ship. We can answer your inquiries and provide extra information. 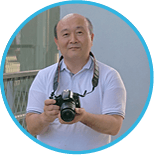 Feel free to contact us to learn more about Shimoda. The information on this website is subject to change. 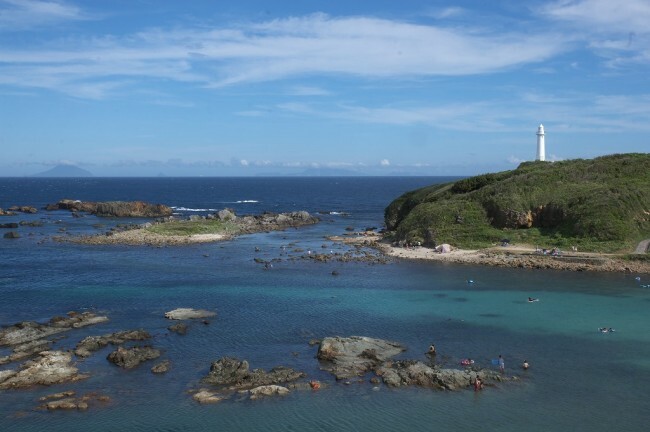 Please contact individual offices, stores, or the Seamon Shimoda Guide office (TEL: 0558-22-5255) for more detail.